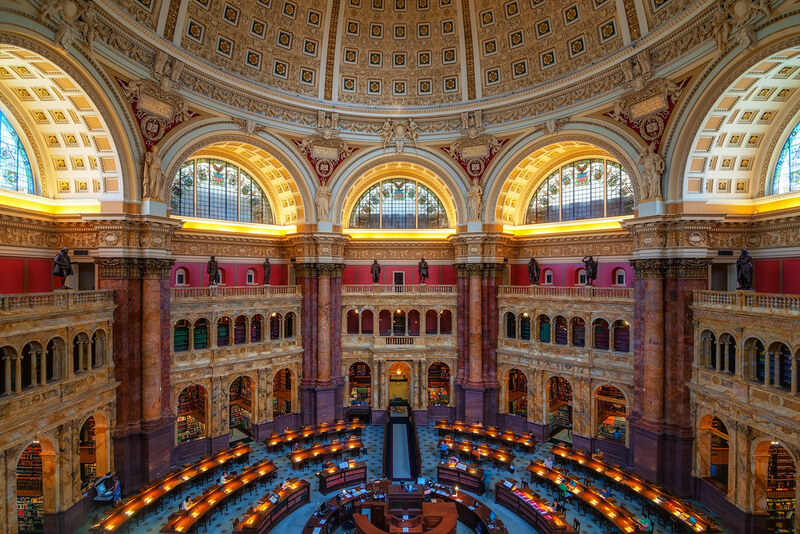 This is the main reading room in the Jefferson building of the Library of Congress. The photo was actually shot by pressing my camera up against the sound-proof glass in the viewing area. This entry was posted in Washington DC and tagged Congress, library, Washington DC. Bookmark the permalink.